An intraoral camera is a camera which is designed to be used in the mouth for the purpose of taking video or still photography. 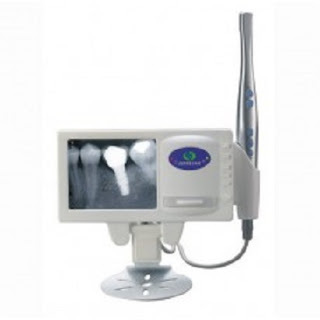 These cameras are most commonly used in dental offices, although patients can also use them at home to monitor dental health or to satisfy curiosity about what the inside of the mouth looks like. Several firms specialize in producing intraoral cameras and accessories, and others make adapters which can be used with conventional cameras so that they can be used in the mouth. When representatives from the different companies come into the office for a demonstration, insist that the camera you’re considering be left with you for 24 to 48 hours. The trained representative makes working it look easy and teams who make a decision after a one- to two-hour demo find themselves frustrated when it arrives and the excitement dissipates. Having the camera in the office for a day or two gives team members a chance to familiarize themselves with the technology and see how well it integrates with the office software. Offset buyer's remorse by showing patients a recently restored tooth compared to a tooth in their mouth that needs similar treatment. Show an image of the smile and ask patients what their thoughts are. 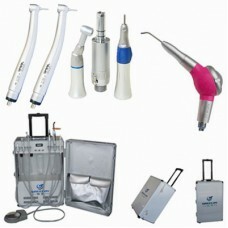 If a patient is happy with his or her smile, great! This is your chance to explain the benefits of the current interval of care to maintain it. If someone is not happy, find out why, their wants, and what they would change about their smile if they could. The business team can use these images during case presentation as well. Sending patients home with an image of a diagnosed condition attached to a treatment plan is beneficial when they are not the decision maker. As you can see, the implementation takes time, strategy and effort. Preplanning and developing protocol will help you achieve results and improve treatment acceptance by 25%. The camera will pay for itself. Take the time to maximize it, do what it takes to get everyone on the team on board, and you will see this technology pay for itself over and over again.